Let’s face it….shopping for gifts is hard! I’m already stressing out over trying to find nice, chic, fabulous gifts for the people on my list. 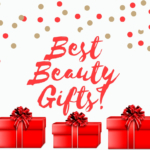 If you’re shopping for someone that’s into taking care of themselves, needs a little pampering or is a certified skincare addict, this is the list you need! The Disney x Kiehl’s Hydration Essentials Collection will not only bring a smile, it will keep dry winter skin away. So cute…and practical at the same time. This special-partnership between Disney and Kiehl’s is a philanthropic venture will benefit Feeding America®, providing over a million meals to families in need this holiday season. 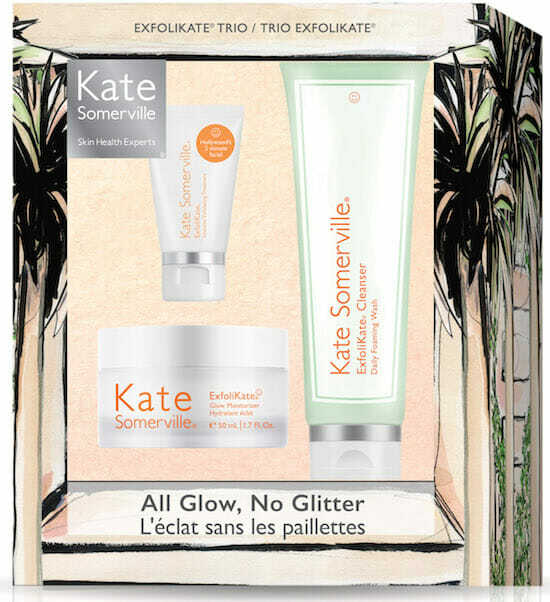 Kate Somerville is one of my favorite skincare lines and the All Glow No Glitter set practically guarantees perfect skin! This trio of ExfoliKate products will have skin looking buff in no time at all. I’ve recommended each of these products in the past; I love that there is a set combining all three! For someone that loves body products, pick up The Body Shop Frosted Plum Collection. Inspired by the sweet scent of sugar-frosted plums, these body products smell great, plus leave skin feeling soft and smelling sweet! The Fresh® Bodycare Besties set is like a spa treatment in a box! The Hesperides Grapefruit Bath & Shower Gel and Body Lotion smells citrusy and invigorating, while the Brown Sugar Body Polish buffs skin to a radiant glow. So good! Who doesn’t love masking?! Gift the Origins Mini Mask Musts set to someone that could benefit from a little self care. 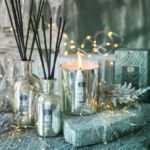 Throw in one of the Feel Good Candles for a relaxing vibe. Serenity in a box! The “It’s Your Secret To Beautiful Skin” set combines two products that I’m obsessed with…new Miracle Water™ 3-in-1 Glow Tonic and Secret Sauce™ Clinically Advanced Miraculous Anti-Aging Moisturizer. This a travel-friendly set that will keep skin glowing on the go. Great for the gym locker, too! I could never do a skincare gift guide without recommending Clarisonic! I use the Mia Fit daily…it’s perfectly sized and keeps my skin in great shape. The Mia Fit Holiday Set makes a nice gift for anyone that is dedicated to beautiful skin. Disclosure: Some of the products mentioned were provided for editorial consideration, product testing, photography and review. Opinions remain my own. 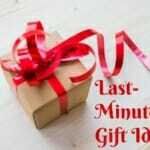 Affiliate links have been used in the post which means I receive a small commission when you purchase through my links. 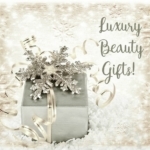 Thanks for supporting Beauty411! It’s an ultimate skincare collection for winters. I would buy this amazing skincare collection soon because I’m a skincare addict.